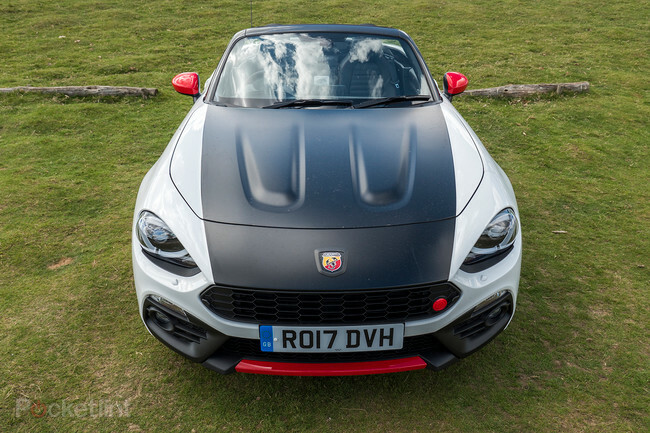 Abarth 124 Spider review: Should you buy one? 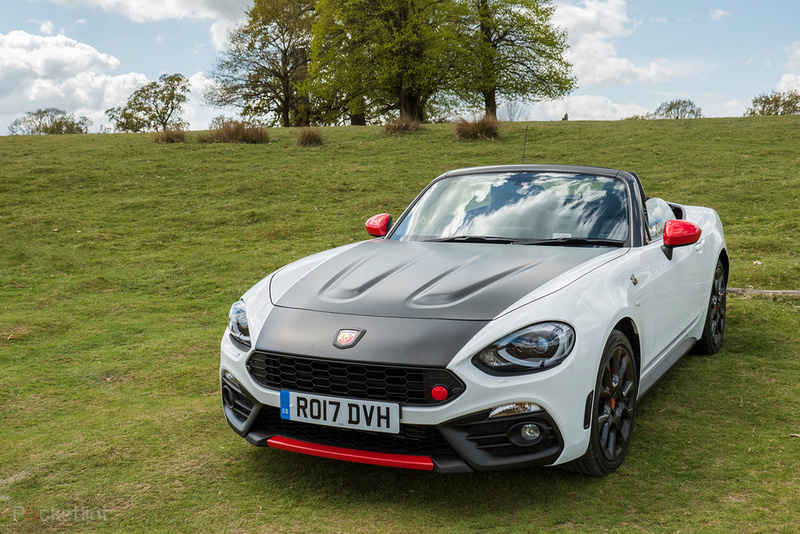 Thread: Abarth 124 Spider review: Should you buy one? What happens when you take a Japanese roadster and give it an Italian heart? You get the Fiat 124 Spider. Dress that car up in some couture red, black and white body kit and you get the on-so-unsubtle Abarth 124 Spider, as you see above - a tuned-up rebadge with plenty of extras going on beneath its sporty exterior. The Abarth 124 Spider isn't just a rebadge, though, as it features a 168bhp tuned version of the 1.4-litre turbocharged engine as found in the Fiat, plus different suspension, making it a more powerful sports car... just not a particularly fast sports car. What makes it great fun, however, is the front engine position which, in this elongated two-seat form, gives it an unruly presence when behind the wheel. If you've always liked the Mazda MX-5 - the car which provides the chassis for the Fiat 124 Spider - then does the Abarth version offer enough to make it worth the extra cash? We borrowed one for a long weekend to find out. 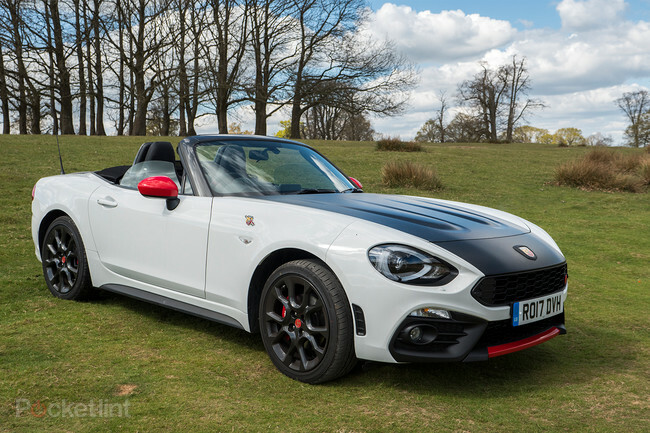 Abarth 124 Spider review: Better looking than Mazda MX-5 and Fiat 124 Spider? Abarth sent us the most raucous of its available finishes: with a black bonnet and soft top, white body panels and red wing-mirrors, it's certainly a head turner. And not because it looks like a cut'n'shut job, because it's got attitude that matches the badge on the front. Some will disagree and say it looks horrid in this finish, but each to their own. It's not just the paint job that gives the Abarth a more aggressive stance than its Fiat cousin - although the way the black bonnet misses the panel edges and cuts in to fit the front grille gives its finish real focus - as there are different panels to be found here. The Abarth snarls, the Fiat looks like a punch-drunk Cheshire cat with a rounded smirk by comparison. Look at those front foglight panels: they're got so much more attitude. The rear also hosts not two but four tailpipes, which is a statement in itself. The interior from a driver's point of view is almost a mirror of the Fiat, however, with fixed 6.5-inch screen on the dash, with a trio of aircon simple climate control knobs beneath. It's actually not very fancy compared to, say, an Audi or BMW setup, but does the job well enough. 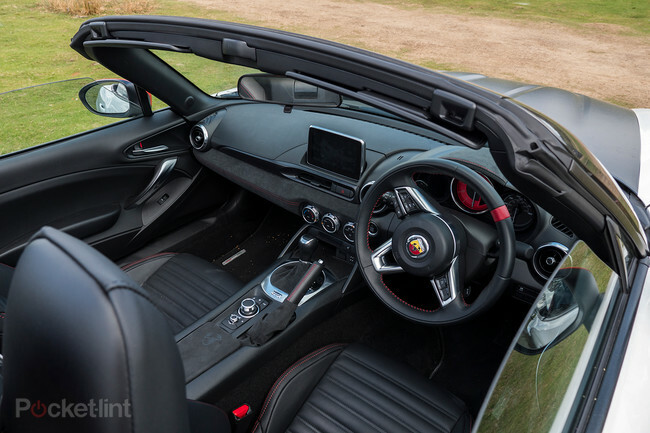 Look closer, however, and it's the finer details in the Abarth that really set it apart from the Fiat: the leather steering wheel and hand brake each have red stitching; the soft-finish interior panels with the Scorpion subtly appearing, most noticeable when caught in the right light; those firm, leather seats. It's a notable improvement all round, but that's part and parcel of the reason this car costs in and around £30,000. As a two-seater, well, there's no much space either. But you don't buy this car to do the weekly shop (unless you just don't like eating) as the dinky boot and limited storage space attests. There is an additional storage space between driver and passenger shoulders, fronted with its own shiny plaque-like front. 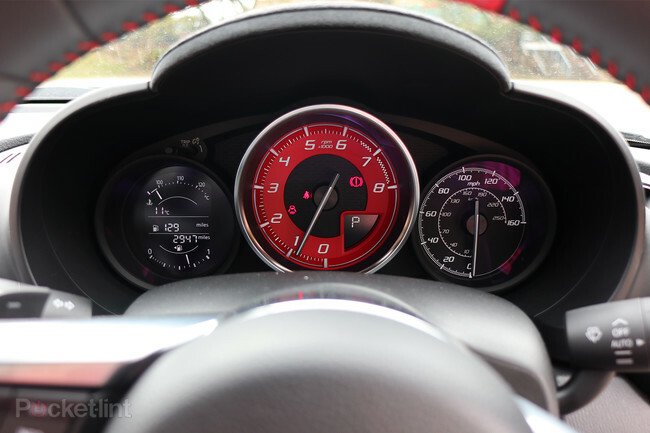 As we alluded to above, there's not a huge amount going on in the Abarth when it comes to tech. 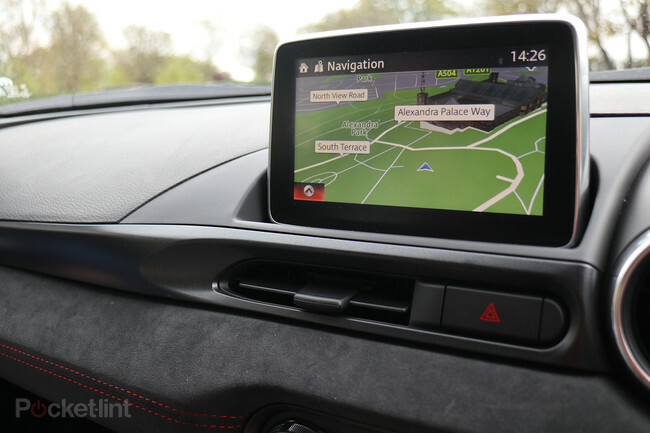 The Uconnect system is ok - handled by touch or the rotating dial and buttons to the driver's side - but it's not got the depth of options you'll find from other brands. Did we care? No, we were too busy with the top down, wind in hair (thankfully not too much to mess everything up), seeing what we could get out of the Abarth out in the Kent countryside. 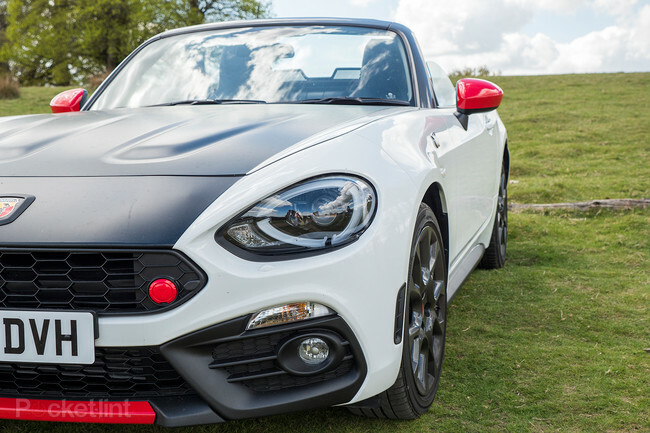 Abarth 124 Spider review: How does it drive? The long and short of it: you won't buy an Abarth for its abundance of tech. You will buy it for the fun of the drive. From each press of that start button, the snarling, noisier engine sound gives a sense of sports car - without being non-stop and over-the-top as you'll find from something like, say, an Audi RS3's relentless engine noise. Besides, we found the Fiat sounded a little too pedestrian. However, for our test car, we had an unexpected surprise: an automatic gearbox. Yep, no manual box in this particular arrangement, which was rather unexpected for such a drivers' car. 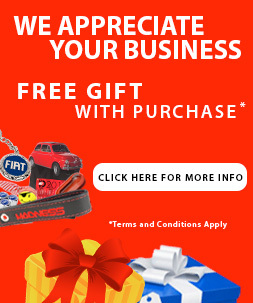 We found it super easy to use, of course, making driving around towns and getting stuck in traffic jams a breeze. But there was that slight disconnect when wanting to get a little more from the Abarth's torquey engine. The Abarth finds a middle ground, the kind of slipstream sensible that you'd want for track racing, while staying safe on the road. It has a limited slip differential and a Sport mode - activated by pulling back on the little S toggle behind the gearstick - which loosens things up somewhat, adding tightness to the steering and making aggressive cornering all the more fun. It doesn't negate the understeer that's present, though. We can't ignore the sheer cost of the Abarth 124 Spider. With a starting price of £29,620 (which increases to £31,920 with the auto box) it's certainly not cheap. 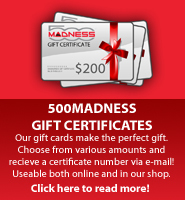 Options are very limited, however, as almost everything is as standard. The only thing you'll need to pay more for are paintwork options (between £400-600) and, if you want it, the Bose sound system (£795). whether it's a 21 ask fixture, charmingdate review or only the discussion entrepreneurs, taking advantage of punctiliously picked out worries can assist to in knowing the nature and remembrances of a good individual. now, even if you be in awe using the fella you might entirely charmingdate review encountered and also interested in the boy, you could potentially produce a marital life at best after you become familiar with the pup more desirable. as well as required you out for a date and you charmingdate want it to be fascinating compelling. really are a few questions you should ask someone you enjoy, charmingdate whenever you are on to start dating,to start a date, so that it will have charmingdate review an easy coming in phone call. be sure use these enquiries simply to provoke a contact. If you ask excessive uncertainties, discount this as being find yourself can make it can come as a conversation charmingdate meeting. utilizing a few haphazard pros and cons to help you out have the measurements and man's needs and wants, character, desires, in addition to. because ideas recover a wide range of tips, they'll help in identifying her dad greater. They can be utilized on prematurely appointments.